The nation's first urban Audubon Center, located in a landmarked building in Olmsted and Vaux's Prospect Park. 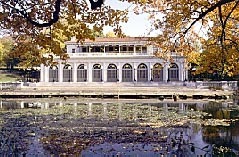 The landmarked 1905 Prospect Park Boathouse has been renovated and turned into the nation's first urban Audubon Center. The Center emphasizes environmental education for a large underserved urban population (the 2.5 million residents of Brooklyn), focusing on the diverse wildlife and habitats of park designers Olmsted and Vaux's Prospect Park. 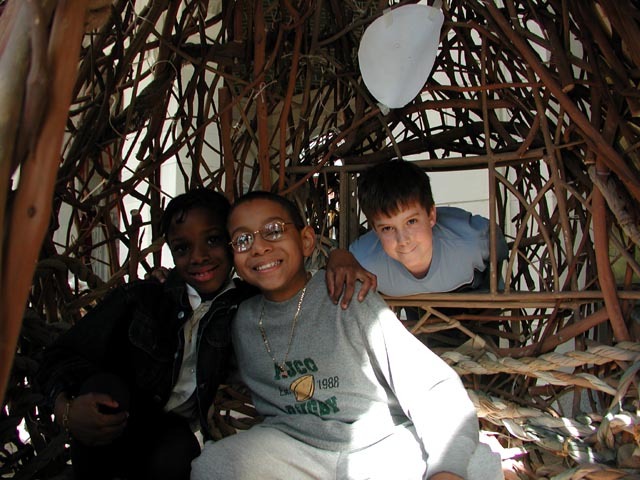 Educational features include an environmental theater, an over-sized replica of an oriole's nest, discovery science stations, family programs and special educational programs for school groups. The Center also features an electric boat that takes visitors on tours of the Park's water system, launching from a new dock behind the building. The Center serves as the trailhead for a system of nature trails through the Lullwater area - and does double duty as the Park's new visitors center, with general Park information and a cafe. The two-story Center has 4,500 sq. ft. of indoor space, plus 7,500 sq. ft. of public space in the rear overlooking the beautiful Lullwater. Nature trails from the Center will eventually stretch for over two miles. The Center is within Prospect Park, but is accessible by subway and bus. Many trails within the Park connect to the Audubon Center, including a new Blue Trail, the first in a series of four that will help people find their way through Prospect Park. The surrounding space is heavily used by the local population, including six million annual Park visitors. Roads and paths are in very good condition. The terra-cotta building itself and the space it resides in are spectacularly beautiful. The rear of the building features tables and chairs, as well as a large series of stone steps that people relax on. There are many families and children, with public facilities for their comfort. There are no vehicles nearby, and the building is well-maintained and safe. A small part of the building is reserved for offices, but otherwise the facility is very accessible. The Audubon Center is open to the public Wednesday through Sunday. About half the people there attend for education activities, while the other half may buy a cup of coffee and just enjoy the beautiful environment. There is a great variety of ages, gender and ethnicity among the usership. The Prospect Park Audubon Center at the Boathouse is certainly a meeting place in the community. People there are generally happy and well-behaved. The Prospect Park Audubon Center is a joint program of the Prospect Park Alliance and Audubon New York.